Great news, Friends! 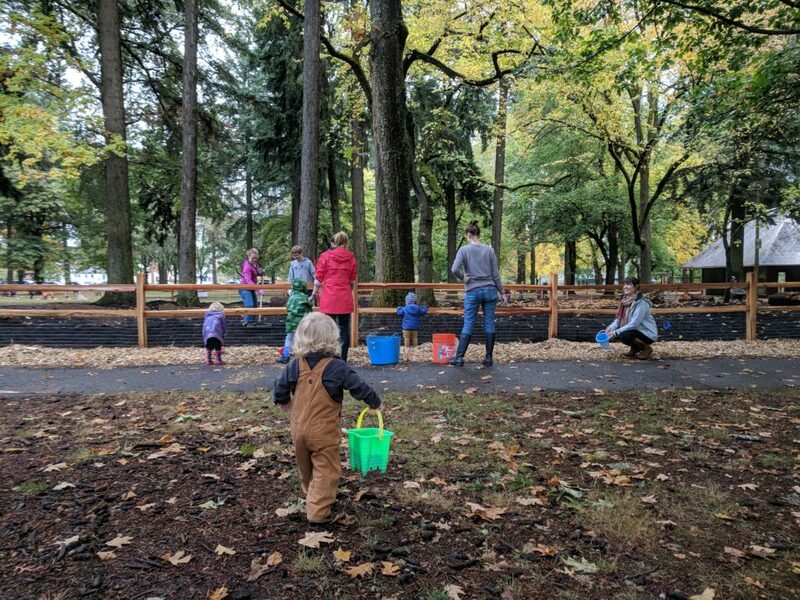 At our most recent monthly meeting, we heard back from several members who have had conversations with people from Portland Parks and Recreation, and we now have a plan for how to finish fixing up the play area for small children at Wilshire Park. We all know that over the last several years, there has been no money in the budget for parks like Wilshire while the city has devoted its parks funds to building new facilities in areas of the city that previously had no play spaces at all. The bad news is that it looks like the Parks budget will be further slashed in the coming years, so it’s up to us to raise the funds if we want to see improvements. 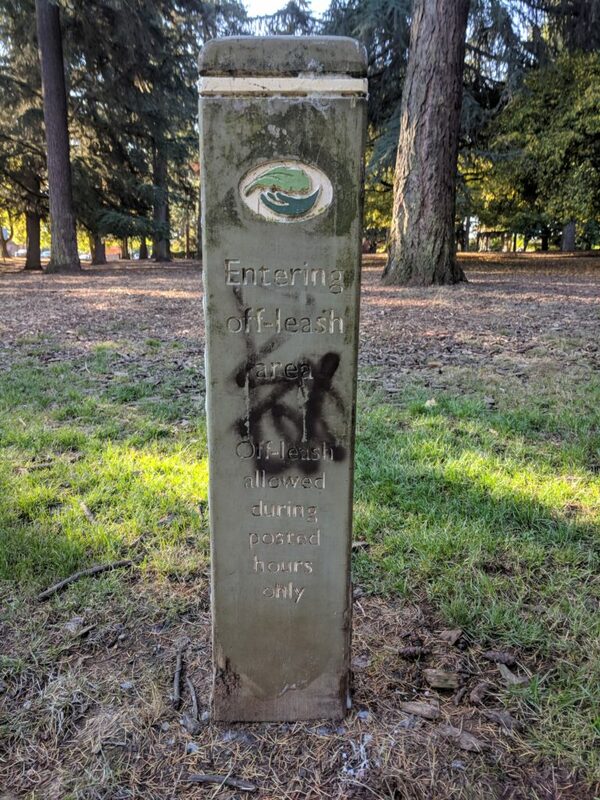 There are a lot of political issues here, and the Friends of Wilshire Park take no position on that at present other than to say that we’ll never stop advocating for our park, which is the heart of our neighborhood and serves people from all over Portland because of its varied facilities, ease of access, and toddler play area, which very few parks in Portland have. But the Parks team is able to meet us in the middle. If we can do the fundraising and work within their existing system, we can get some new equipment installed. This makes sense to us; the city already has contracts with builders and equipment vendors, so why start from scratch? The sample equipment we’ve seen in pictures and at parks around town look great. 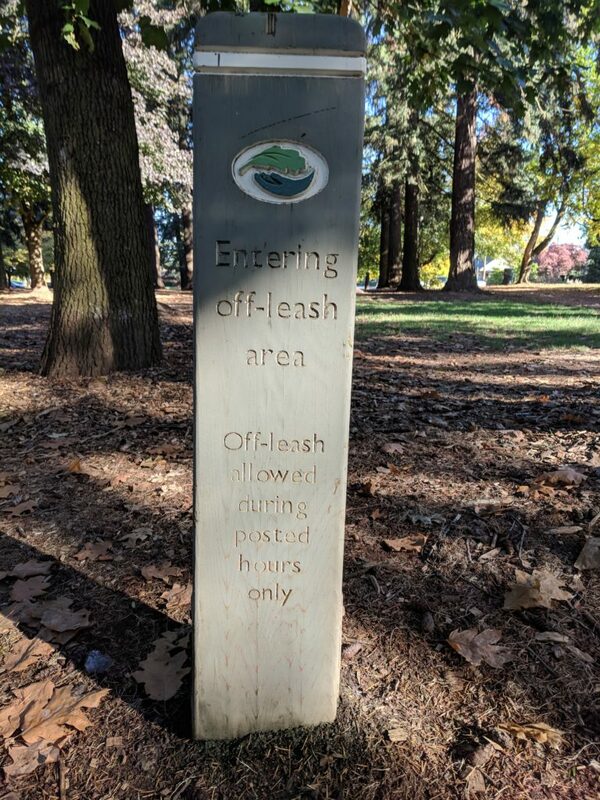 However, in order to achieve a full replacement of the rotting equipment at Wilshire Park, we will need to raise at least $50,000. This is achievable with the right level of commitment, and anything more we can raise would mean an even nicer park for our little ones. This does *not* mean selecting specific pieces of equipment. We will not be able to do that until we have raised money and know what we can afford to purchase. 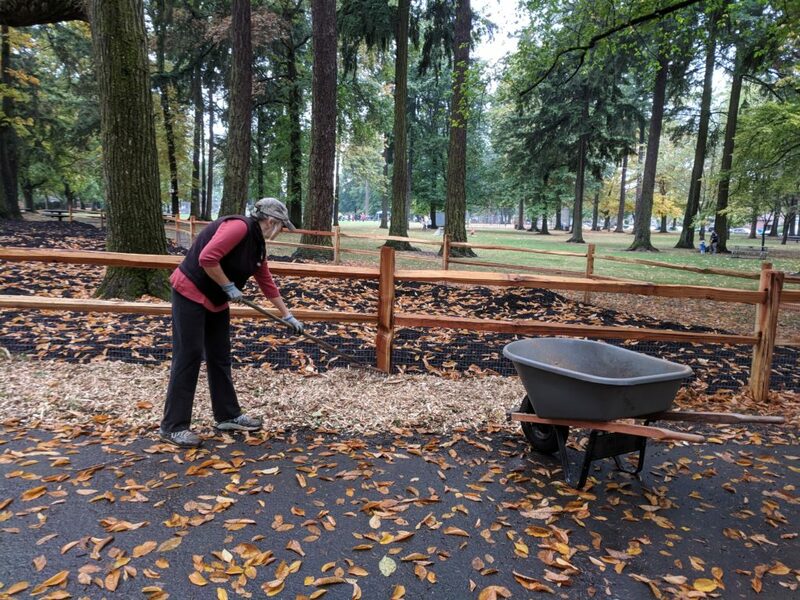 Instead we’ll choose between a Woodland theme, which matches Wilshire Park’s many native plants, a Barnyard theme, which goes with Northeast Portland’s strong tradition of mini-homesteading, or a Submarine theme, which really is just fun. These three themes were offered by the city’s vendor as having the best selection of equipment that is appropriate for small children. We want members of the community to participate in a poll, which is linked at the bottom of this post, to be sure that their voice is heard in the conversation. We need money, and when fundraising it’s best to spend time and energy on larger sums first. 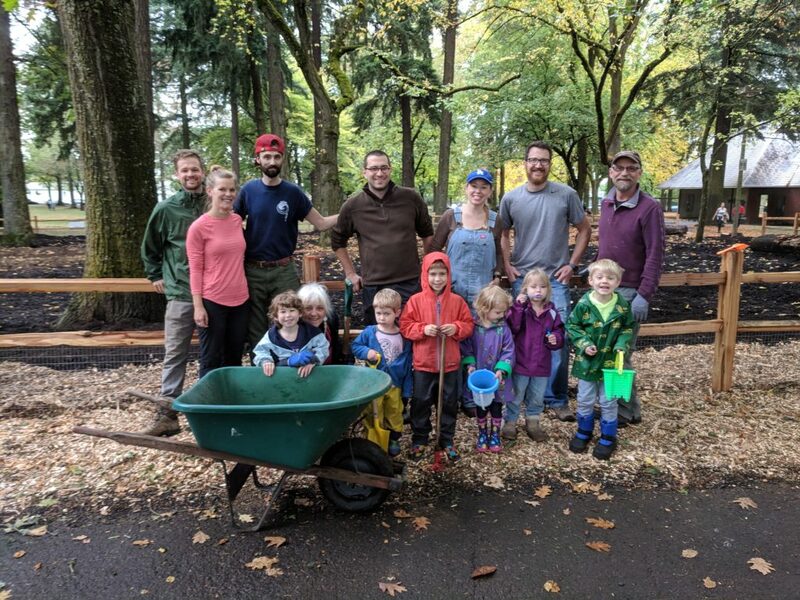 Our strategy is to start by applying for grants that fund the construction of children’s play areas, then move on to asking large businesses in the Portland area for donations, then ask local businesses and neighbors to chip in. As soon as our fiscal sponsor is in place, we’ll take money from anyone with a check to write, but the Friends should focus their energy on finding large sources of funding first. Our next meeting, to be held on March 13 at 7:00 pm at Bethany Lutheran Church, will be a grant writing workshop. 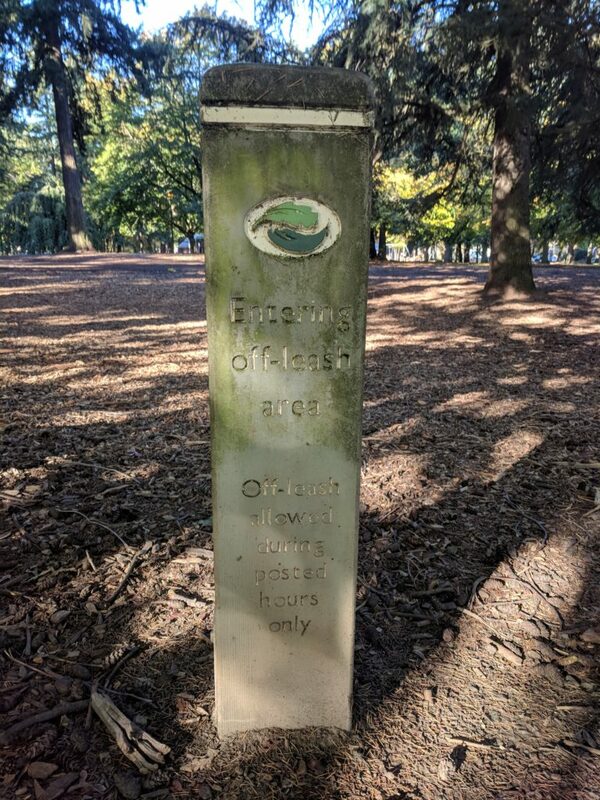 We are asking all members of the Friends to search online for one or two parks grants and bring this information to the meeting so we can work on the applications together. We do not want to have an open-ended period for fundraising, as this would lead to frustration and stall the construction of urgently needed equipment. At our meeting we did not set a firm deadline, but we thought that about six months would be right, beginning on the day that we secure a fiscal sponsor who can legally collect the money for us. 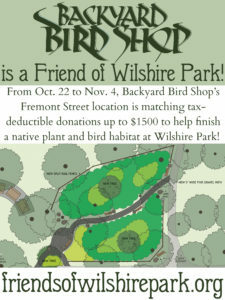 As Friends of Wilshire Park is just a neighborhood group and not a 501(c)3 organization, it is very important that we use an organization that is a recognized charity so that we do everything properly and so that all donors can claim their donations as tax-deductible. 4. Fix the play area! When we hit our fundraising goal or our deadline, whichever comes first, we’ll look at our budget and then see what equipment we can purchase. The new equipment won’t be identical in appearance to what is already at the park. The wooden structures that are currently there stopped being sold years ago. However, any new equipment will be similar in its function and age level. 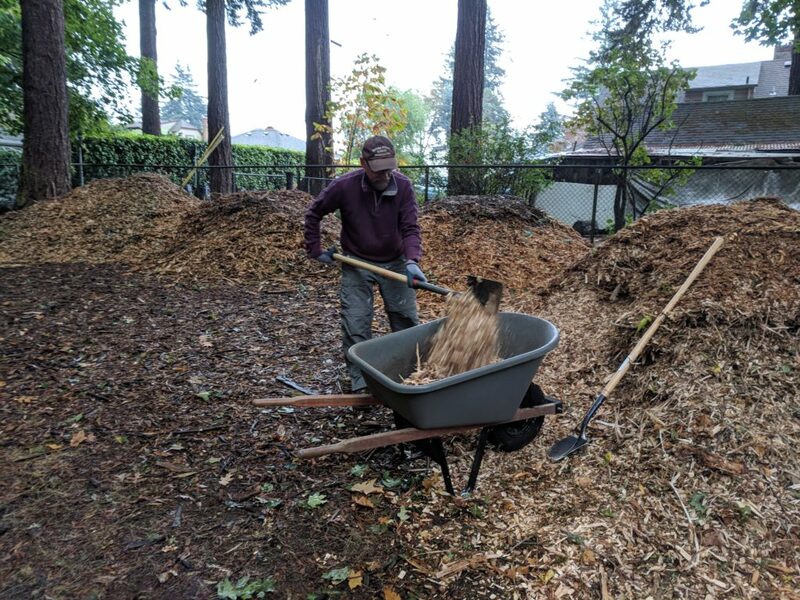 The Friends of Wilshire Park will actively seek input from the neighborhood when it’s time to do a final site plan, but please keep in mind that this step is still a long way off. Spread the word! Come to our next meeting and bring a friend and come ready to help write grant applications. We also need your input on our poll to determine a theme for the play area. Please share the link to this poll with anyone who lives near Wilshire Park or who regularly uses Wilshire Park. As you can see below, there are images that offer a suggestion of what a theme might look like, but these are NOT specific site plans. A Woodland theme might have stepping logs, a cabin, a lumber truck, or any other piece of equipment that goes with an outdoorsy vibe. A Barnyard theme could have riding toys that look like animals, or perhaps a tractor, or, appropriately, a barn. The Submarine theme might have rideable seahorses, a submarine, climbable “kelp,” and other undersea-themed toys. When voting, please consider a few things. Think about how Wilshire Park already looks. Think about the fact that this equipment will be for kids five and under. And consider how it will affect the appearance of the park over the lifespan of the equipment — about thirty years. What Theme Do You Think Best Fits the Wilshire Park Children’s Play Area? We hope you’ve had a good holiday season and are enjoying the NatureSpace and new toddler play structure at Wilshire Park. Please come to our next meeting on Wednesday, February 13 to see the plan we’ve been working on for continuing to improve the children’s play area. 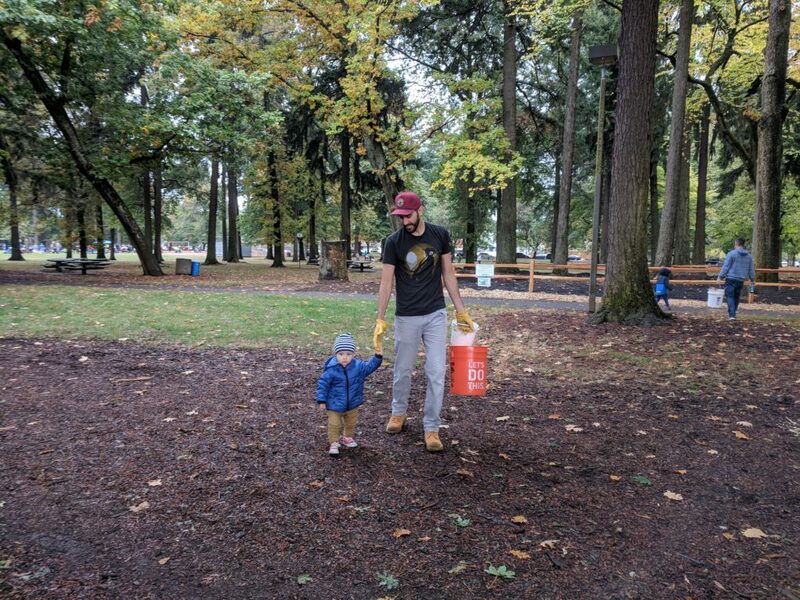 There are two chances to help our neighborhood parks next week. The first is at Irving Park, which is just down the road from Wilshire Park. A small planting project will be taking place there on Tuesday, January 22 from 9 am to noon. School is out that day, so if you need something do with the kids, come on out to the park. If you’d like to help, please contact Hillary Maurer at [email protected] and let her know you’re coming. Our second opportunity is happening Friday, January 25 at 9:30 am at Wilshire Park. The recent windstorms have left quite a lot of broken branches laying around our park, and we’ll be helping park staff clean them up. If you would like to volunteer, just send an e-mail to [email protected] and let us know you’ll be there. Dress for the weather and bring some good gardening gloves to protect your hands. Because not much happens over the holidays, there doesn’t seem to be a lot of action items on our January agenda. For this reason, we’ve decided to cancel our meeting on Wednesday. However, the Friends have a request: send us your photos! 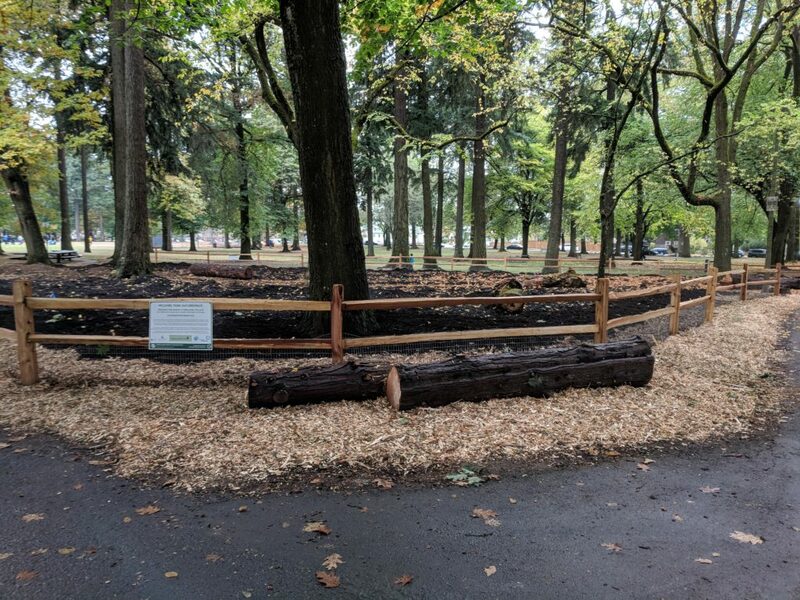 If you participated in any of the volunteer days to help build the NatureSpace, or if you have a photo of yourselves enjoying Wilshire Park that you don’t mind sharing, please send it to us. We’ll post them here in a gallery as well as use them occasionally for illustrating grant applications, flyers, and online materials. We’ll take all kinds of photos — family photos, shots of your adorable dogs, joggers. All we ask is that the photo you submit be appropriate for a general audience and that you have the right to share it. We’ll never sell your photo or use it for commercial purposes, but it will of course be publicly posted on this website. We’ll see you next month on Wednesday, February 13 — we can show some love to Wilshire Park just in time for Valentine’s Day.